Beats By Dr.dre Studio 2.0 wired Headband Headphones - Red color. Trending at $77.50eBay determines this price through a machine learned model of the product's sale prices within the last 90 days. Apple Beats Studio 2.0 Wired Headband Headphones - Matte Black / New Ear pads, comes with case. Condition is Used but great condition. Comes with audio cable. Shipped with USPS Priority Mail. Beats Studio 2 Wired Headphones. o Headphones don't play with the old sound card in my PC running Win 8.1. Headband is clean and overall condition is excellent. Good working condition. Here is the category of Fishing Reels. Our Products are 100% Authentic. WowPartsPro Ear Pad Cushion Compatible For Beats by dr dre Studio 2.0 Wireless headphones only. Compatible to Beats by dr dre Studio 2.0 Wireless ONLY. 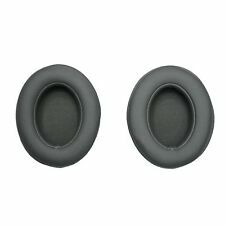 1 (pair) x Ear Pad Cushion Compatible For Beats by dr dre Studio 2.0 Wireless. The ear pad is compatible with Studio 2.0 and 3.0 Wireless Headphones. How to replace your worn-out ear pad. Adjust ear cushion holes to the headphones groves(Different cushions for each side). 1 pair of ear pads. These ear pads and Headband Cushion are compatible with beats by Dr. Dre STUDIO 1.0 Headphones ONLY. Headband Cushion Size:Approx. Ear Pad Size:Approx. Easy to install, just remove your old ones and install the new ones. THIS IS A REPAIR SERVICE BY JoesGE com. We will install two new ear pad cushions on your Beats Studio 3 Wireless. If you have a different Beats product with a different issue we can fix. We fix every Beats product and much more. Trending at $86.58eBay determines this price through a machine learned model of the product's sale prices within the last 90 days. Beats by Dr. Dre Studio1 WIRED Headband Headphones - Noise Canceling- Thumps. Comes with new ear pads and new Aux wire. Works great and noise cancellation using batteries. Comes with it. Condition is Seller refurbished. Shipped with USPS Priority Mail. 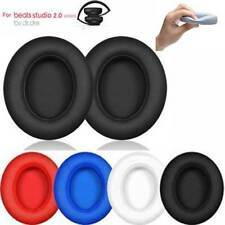 SPECIFICATION: Device Type: Replacement Ear Pads Headband Cushion For Studio 1.0 Headphones Material: Memory Foam Protein Leather Ear Pad Size: Approx. 3.54 x 2.76 x 0.87 inch / 90 x 70 x 22mm Headband Cushion Size: Approx. 5.12 x 1.18 inch / 130 x 30mm Color: Black Weight: 1.8 oz (52g) Package Includes 1 pair x Replacement Ear Pads (left and right). 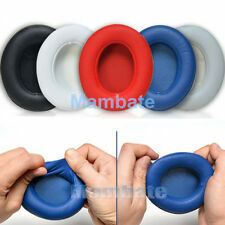 1 pcs x Replacement Headband Cushion. Compatible For beats by Dr. Dre STUDIO 1.0 Headphones ONLY. Ear Pad Size:Approx. If you buy the wrong products, plese inform us as soon as possible. Defective products can be changed during the warranty. The ear pad is compatible with Studio 2.0 and 3.0 Wireless Headphones. Adjust ear cushion holes to the headphones groves(Different cushions for each side). How to replace your worn-out ear pad. Attach the ear pad and apply pressure with fingers all around the adhesive.